The last thing I want to think about is all of the dirty clothing, unused clothing, and other items sitting in these bags that need to be put away and washed. Yes, I am hereby officially demanding a FastPass to get done with laundry. For those familiar with Walt Disney World and other Disney parks, you will get that reference. For others, FastPass allows you to get a pass for a ride to come back during a specific time to ride with a minimal wait. How long does it usually take you to unpack, wash laundry, and put everything away after a vacation? I agree. It takes awhile to get back into home life routine. Sometimes it takes me a week. But I just start with a list and push myself to do things bit by bit. Is it bad that I still have some clothing in the suitcases we took with us for our Christmas/New Year trip? ;) It’s hard to get back into the routine – and laundry? So not fun!! Stacy Uncorked´s last blog post ..Cash or Credit? When my kids were young, I was a bit nutty about the unpacking and the laundry. My husband would have been happy leaving everything in the car for a week, which would have made me even more nutty. Harriet´s last blog post ..What broser are you running with these days? 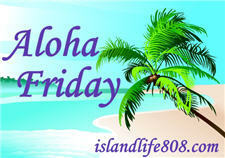 Menopausal New Mom´s last blog post ..Aloha Friday – Spring Cleaning Edition! Once I found a suitcase full of dirty, stinky laundry in my closet when I went for a subsequent trip, months later. Yuck. Usually I’m pretty good about it, but sometimes I miss the boat! Hi! Great article, and totally feel ya on this. Here’s my rule: I give myself the same amount of time I was away to get my routine back in order. So, if I was in vacay for a week, I allow myself a week to get unpacked, washed, and settled back in. I have found it is a reasonable expectation for me and for the fam, and it takes the pressure off!